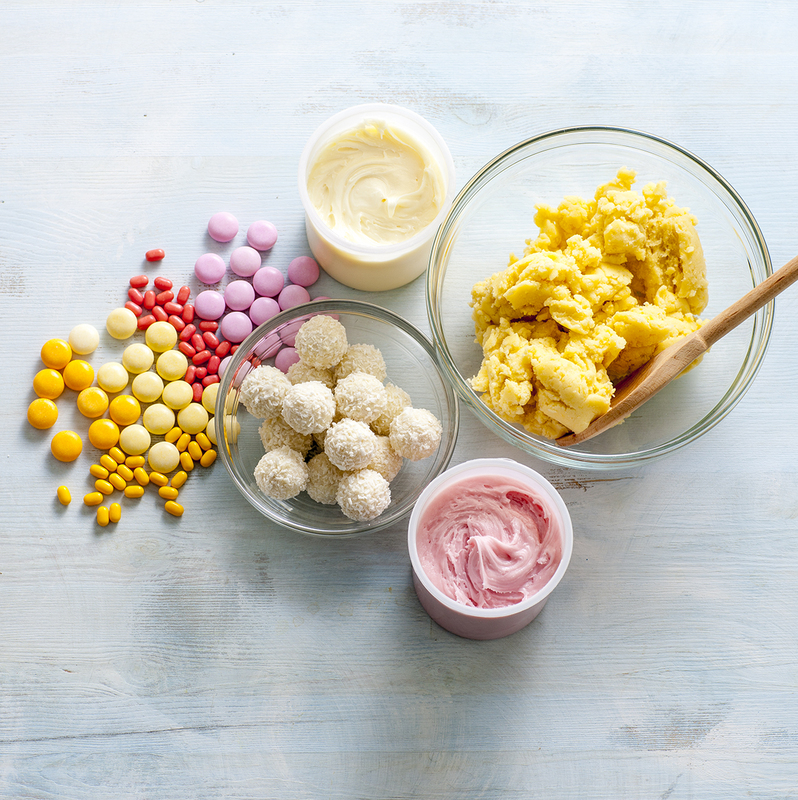 Follow this easy guide to making Easter bunny biscuits with cute tails – it's a great Easter holiday activity for the kids, and they taste great, too! Preheat the oven to 180°C (160°C fan forced). Line two large baking trays with baking paper. Take 12 x 1-tablespoon portions of the dough and roll each into a ball, place onto baking trays, spacing apart. Flatten to about 5mm thick, use the base of a glass to ensure they are even. Bake for 10-12 min. Cool for 5 min then transfer to a wire rack to cool. Meanwhile, divide the remaining dough into 1-teaspoon portions and roll into balls. 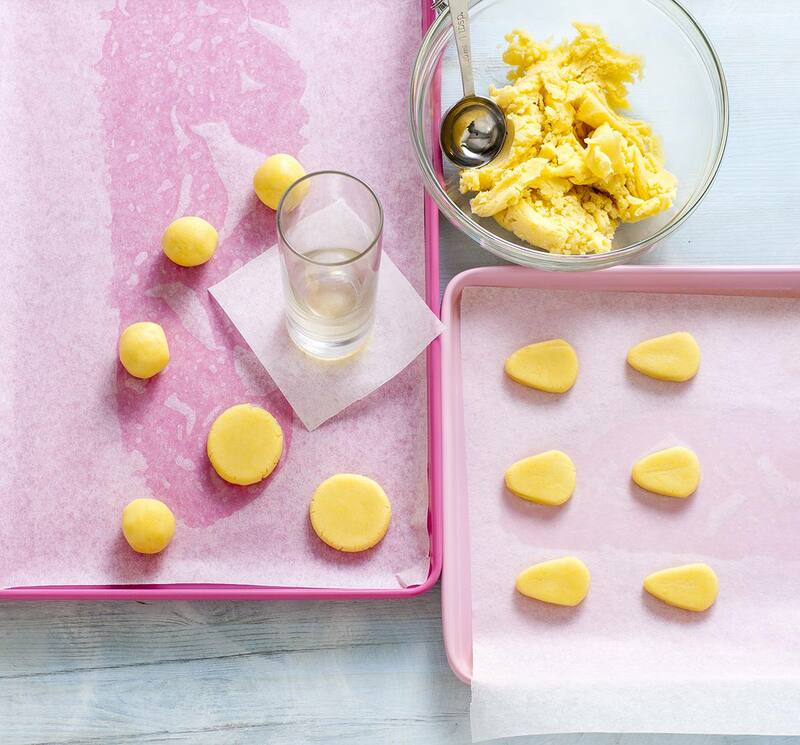 Place balls onto the cooled baking trays, allowing room for spreading. Flatten each to 3-5mm thick. Gently shape each one into a rounded triangle shape to create feet. Bake for 7-10 min or until golden. Cool as before. 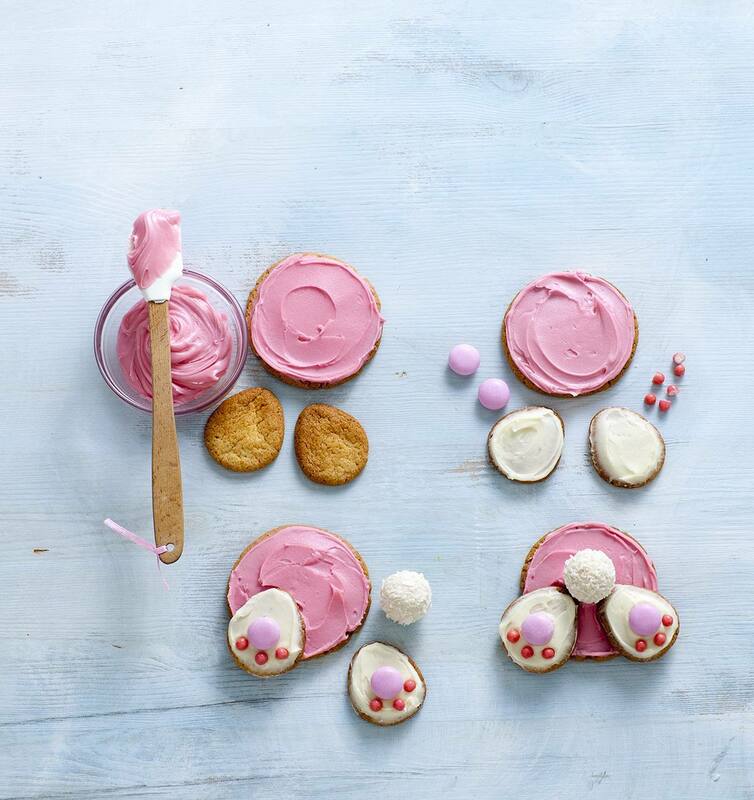 To assemble, spread half of each of the cookies of each size with pink icing and half the other half with white icing. 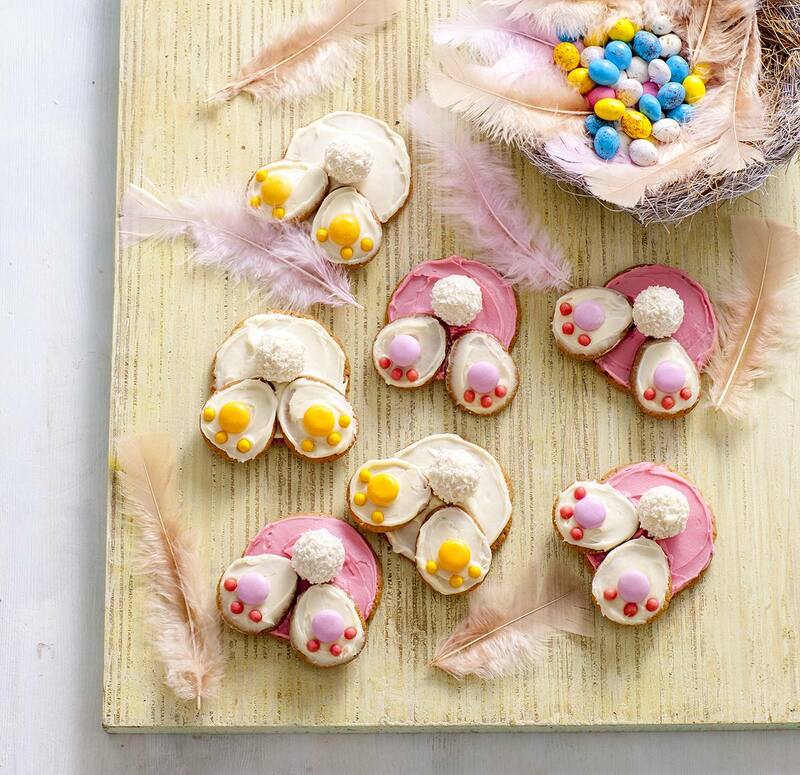 Assemble the cookies, placing 2 small cookie feet on top of each large cookie. Decorate with sweets as shown.